Here is amazing news for all the Nokia lovers. Nokia is bringing a smartphone which will have PureView attached to the name. Yes, you read it right and after hearing this, the Nokia lovers might be eagerly waiting for this smartphone. But there is still one more surprise for you all. It is expected that the Nokia 9 PureView will be disclosed at the MWC 2019 as per the leaked posters. 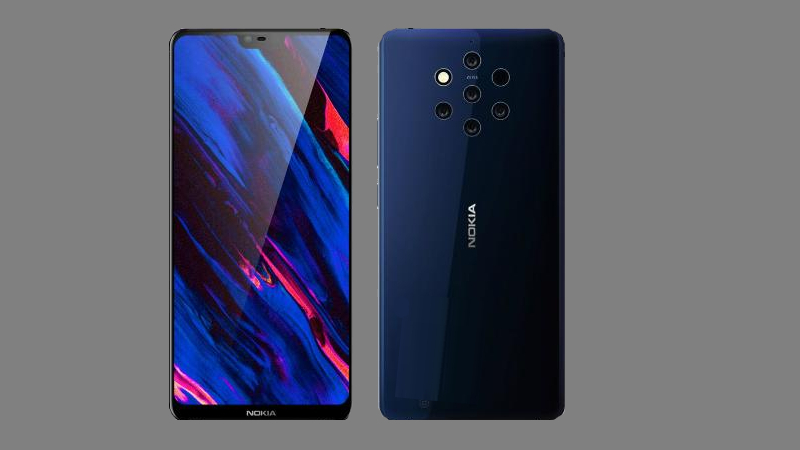 The leaked poster shows the images of the Nokia phones and is rumoured that the Nokia 9 PureView will come with the distinctive multi-lens setup as per the first image. It also discloses that the upcoming smartphone will come on 24 February 2019. The second image shows the dates of the MWC 2019 and probably exposes a different phone altogether either, or Nokia 9 now looks like a hole-punch display. The name of the smartphone has not been disclosed yet but it might be the first phone to bring back the iconic PureView name which was once given to the very best camera phones of Nokia. A Nokia dealer in Malaysia also posted on its official page about the Nokia 9 PureView. The code name of the smartphone is Olympic because of its five camera rings. The word “throwback” is written on the poster of the Nokia 9 which implicates the old “PureView” term. Now the biggest quest is that how will the Nokia 9 look like? The dual-lens and triple-lens cameras have become very common nowadays and as per the rumours, the Nokia 9 PureView will carry Penta-lens setup. Yes, you read it right. There will be five camera lenses with additional sensor and flash units which becomes a total of seven rings. A render shared a video which shows the Nokia 9 PureView in all its elegance. The video confirms the bezels which are present at the top and bottom of the screen and Qi wireless charging. The video also claims that the smartphone will sport a 5.99-inch 2K HDR10 display with a fingerprint scanner. Formerly a teaser image was published by Nokia dealer in Malaysia which is now deleted showed a smartphone with the same design and called it the Nokia 9 PureView with “powered by light” promotional tagline which indicates to the point that it might have strong low-light camera performance. The leaked image shows the other five-lens Nokia 9 concepts. The phone is featured with a triple-camera array, and there is also a double lens camera. The same reports also say that the Nokia 9 will have an edge-to-edge 3D glass display with no capacitive touch buttons. The leaked images show a blue and orange model, an edge-an-edge 3D-glass and bezel-less display. 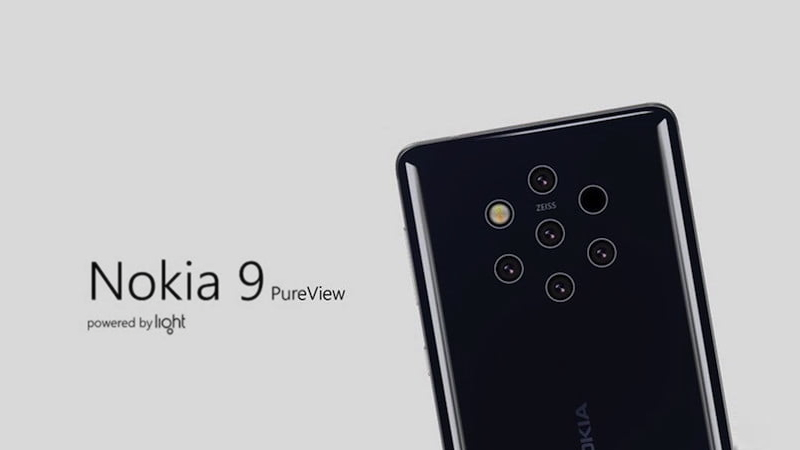 As per the leaks, the Nokia 9 PureView will have five rear cameras lenses. As per the reports, the five lenses of the upcoming smartphone will have 10 times more light than an ordinary smartphone’s lens. No other information has been specified about the Penta-camera setup. 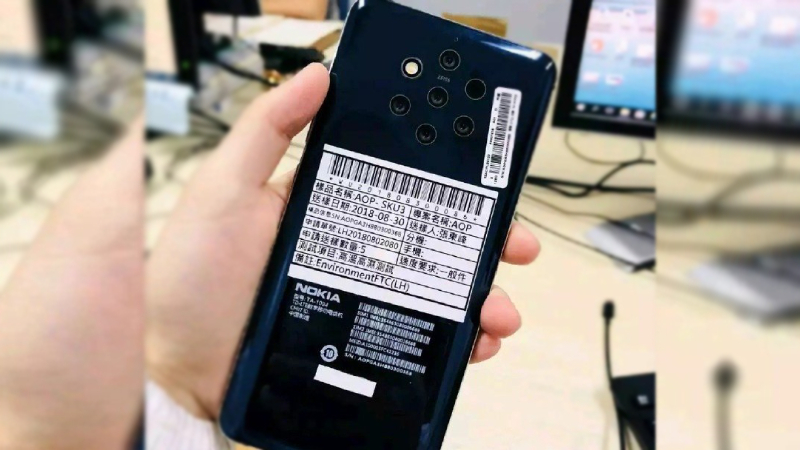 The former rumours stated that there will be dual-camera setup in the Nokia 9 PureView but those rumours were for the Nokia 8 Sirocco. On the front, the smartphone is expected to have 21MP with a f/1.8 aperture. If we go by the tweet from Nokia anew, there will be the same resolution of all the five cameras on the Nokia smartphone. Or else, there will be different configurations for them, as per reports, two 12MP sensors, two 16MP cameras and one 8MP sensor having telephoto, wide-angle and depth sensing lenses. The Nokia pureview will be having the Light camera technology with computational photography in order to facilitate advance photography by the means of further highlighted technology. This technology will further combine all the images and offer a single high-resolution photograph to the user. As per the leaks, the Nokia 9 PureView will be powered with the 2018’s Snapdragon 845 processor and will pack 6GB of RAM and 128GB of internal storage. And it is expected to have 3,950mAh battery. There is no confirmation about the dual-SIM slot. It is also reported that the Nokia 9 PureView might also have 8GB of RAM and 256GB of internal storage. But there is no news about it yet. So these rumours can be a fake one. 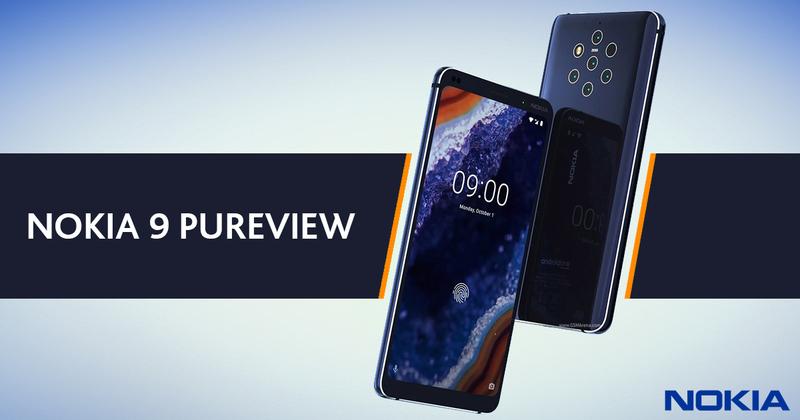 The Nokia 9 PureView is expected to run on Android 9.0 Pie out of the box, Android One edition as per the leaked video. A leading website confirmed at MWC (Mobile World Congress) 2019 that all the upcoming Nokia device except the Nokia 2 might be the part of the Android One program. Which also means that the smartphone is guaranteed with at least two years of major Android updates. As per the data which was seen on a firmware website showed the code name of the smartphone as the Olympic which has already been integrated with the Nokia 9 that runs on Android 9.0 Pie out of the box.